Start taking classes at Buffalo Aerial Dance and other studios! 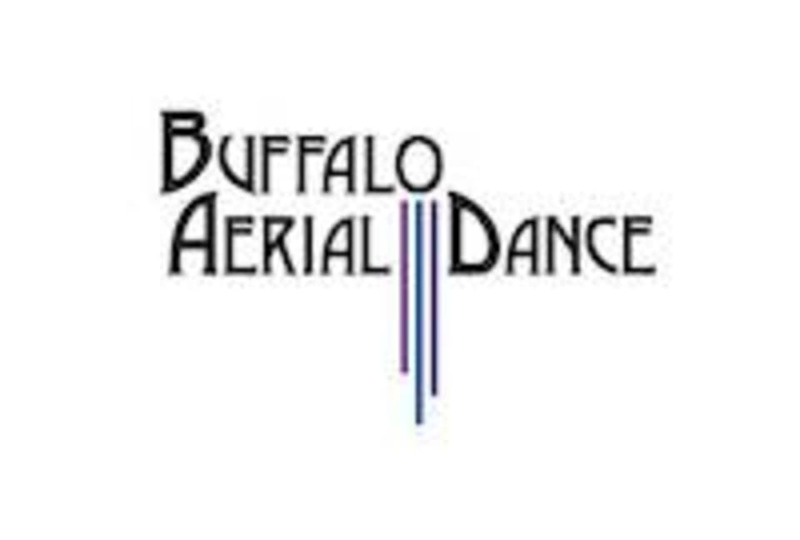 Buffalo Aerial Dance began in 2014 and has been devoted to the art of aerial dance as well as the art of teaching. They have developed heir methods over the past 5 years to create a unique curriculum, and offer classes for both serious aerialists seeking to perform high level skills, and more casual recreational aerial students. Each level of their curriculum has a variety of choreographed sequences appropriate to that level. This method builds strength, endurance, and technique, and offers the satisfaction of moving through sequences (and prepares you for student showcases). It is designed for you progress according to your own goals. B.A.D. offers classes in silks, trapeze, lyra, and corde lisse, and classes for kids and teens. We recommend stretchy clothing with a tighter fit (so it does not lift over your head during inversions or get caught in the equipment). Clothing that covers the armpits and backs of knees can be helpful in preventing friction from the apparatus. PLEASE DO NOT WEAR JEWELRY OR CLOTHING WITH ANY METAL OR SHARP PIECES. These things can endanger you and cause damage to the equipment. Aerial work may be done barefoot or in socks. THIS STUDIO IS TRICKY TO FIND Alt Theater 255 Great Arrow – Suite 312 Buffalo NY Park in lot on Great Arrow closer to Elmwood. Enter the building through the door with the blue awning (near P.O. box). Press the button labeled Alt Theater to be buzzed in In the building: Walk straight ahead, right at the end of the hallway, go through the glass doors take the stairs up to the 3rd floor. Turn right (dance floor in the hallway) past Subversive Theatre, follow long hallway with windows. Alt Theatre on your right at the end of the hallway. Erica is a great teacher! Very knowledgeable! Thanks Erica! Erica is such a great teacher! I learned a lot from her! I was extremely disappointed with this class. As soon as I got there the instructor kept saying that it was going to be a packed class okay cool. As more and more people came in she kept saying how crazy it was and started to blame us. my friends and I felt like we were being pressured to leave because she kept saying we can't accommodate this many people. She was blaming us for signing up for a class that she probably didn't put a cap on... not our fault it said there were open spots. The class itself was fun but the instructor was just rude throughout the class. She was snapping at people and the whole class just felt rushed. I get it, it probably wasn't easy to teach 15 people when the cap is 8 but don't blame the people who signed up to the take the class when it wasn't our fault. The whole time she kept telling us to sign up for the class online and not through classpass... not going to happen I signed up for classpass for a reason.